Chelsea and Manchester United have ‘asked about Barcelona midfielder Ivan Rakitic with his contract situation at the La Liga club unresolved’. 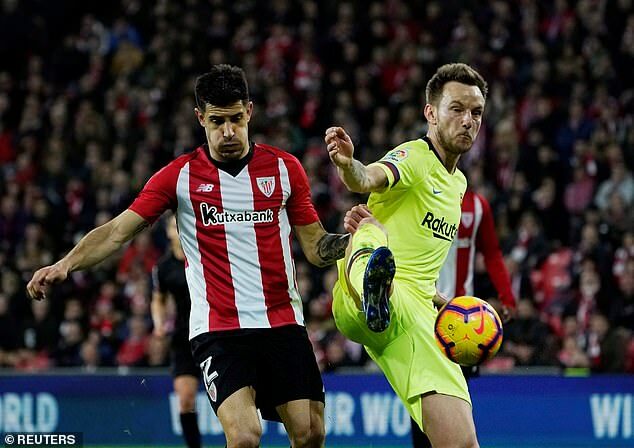 Rakitic dismissed rumours linking him with a move away from Barcelona and insisted he wants to open talks with the club about extending his contract last month. The 30-year-old’s current contract runs until 2021 but the Catalan giants do not intend to discuss a new deal, according to Spanish publication Sport. 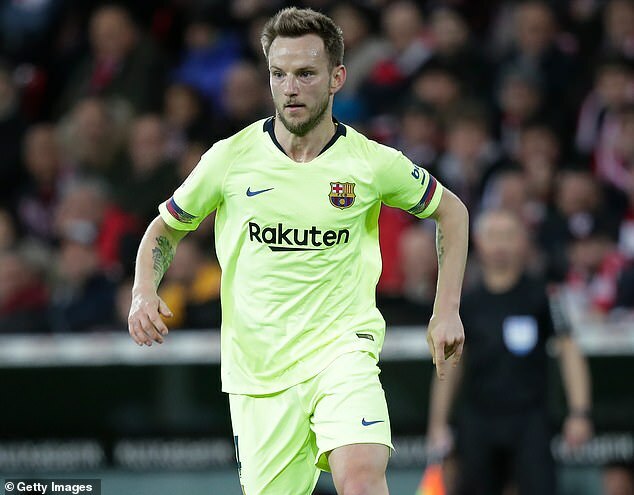 Premier League sides Chelsea and United as well as Serie A outfits Juventus and Inter Milan and Bundesliga’s Bayern Munich have reportedly shown an interest in Rakitic. 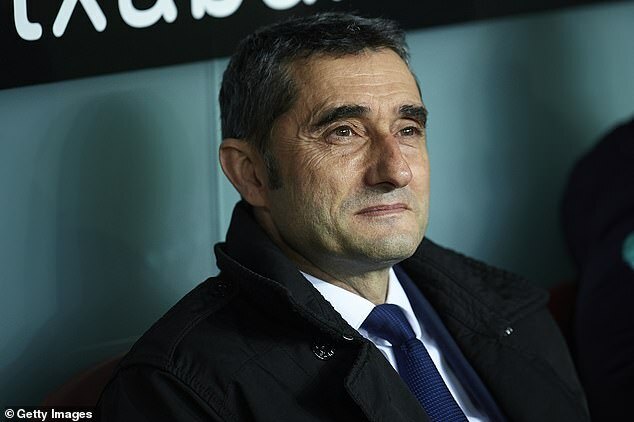 The Croatia international has made 34 appearances for Ernesto Valverde’s side this campaign, scoring four goals and providing six assists. Rakitic’s future in Spain was thrown into doubt following the arrival of 21-year-old midfielder Frenkie de Jong for £65million from Ajax. But Rakitic said in January: ‘Since I’ve been here I do not know how many times I’ve left and I’m back. Rakitic’s agent Arturo Canales also ruled out an exit from Barcelona last week.